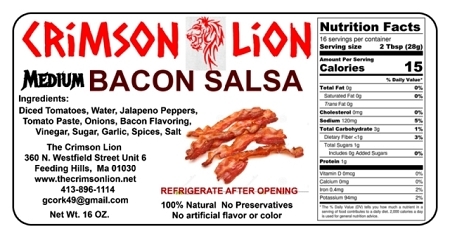 l Bacon Salsa- 16 oz. Home > Shopping Store > Specialty Salsa Shopping Cart > Bacon Salsa- 16 oz. or mix in our Taco's or dipping with Tortilla chips, Either way, the taste results in a delicious and zesty flavor of bacon and tomatoes.